Lotsa good reads today. 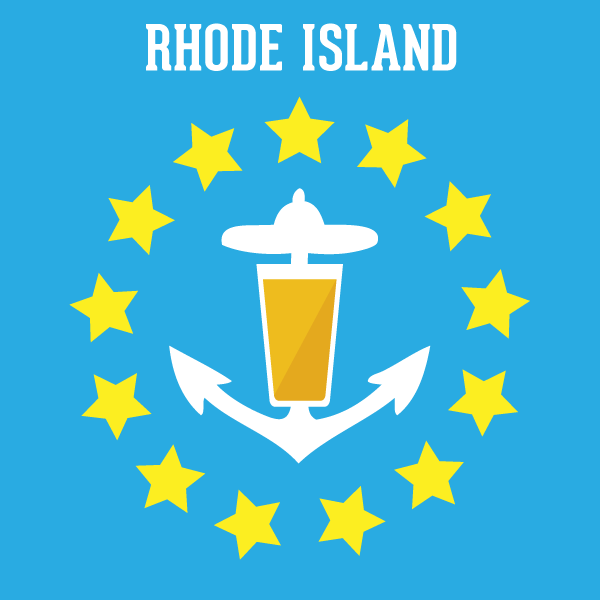 Before you get to ’em, an update on the petition to “Support the passage of better beer laws in Rhode Island”: the 1000 signature was added on Friday! The next benchmark is 1500; let’s reach that one ASAP! Sign and share the petition! • The End of Craft Beer, by Matthew Giles @ Grub Street [“Companies like A-B InBev are seriously reconsidering the ways in which they do business, and craft brewers are (cautiously) adopting some of the practices that helped macrobrews grow into the giants they are today.”] Highly recommended. • And onemoretimeICYMI: some shopping tips for Halloween treating-yourself: “Devilish brews for the scary season,” from Motif. When you’re out growlin’ ’n’ tastin’ ’n’ trickin’ ’n’ treatin’ this weekend, we hope that the petition to “Support the passage of better beer laws in Rhode Island” inspires some discussion amongst the beermakers and the customers who enjoy and appreciate the fruits of their labor. We encourage you to sign and share the petition. When we hit “Publish” at 11:02 am, the petition was 28 signatures short of the 1000 mark! You can be the one to register that all-important fourth digit! Do it now! • Bucket Brewery’s monthly Sound Check will be in the seasonal spirit tonight from 6-9 pm. The bash features music by Sharks Come Cruisin’ [get ready to sing along], a costume contest, and more spooky stuff. 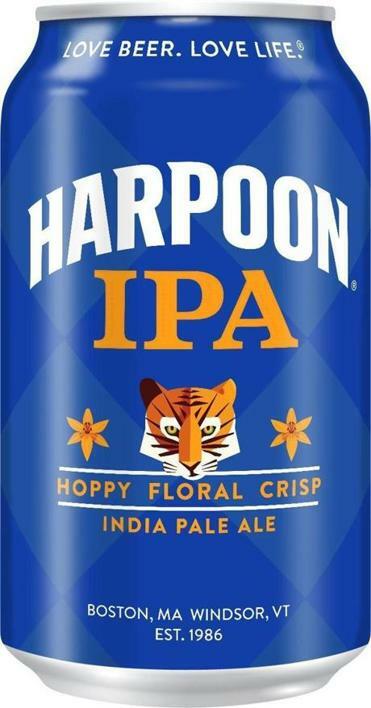 Tix are $15, which includes four beer sample tickets [an extra $5 = a souvenir glass and extra beer per pour; bring a non-perishable food item for the Rhode Island Community Food Bank and you get a bonus beer ticket] and entry for raffle prizes. Tastings [and growler fills/six-pack sales] today [open at 1 pm] and Saturday [11 am-5 pm, $5], with tours on Saturday [1:30, 2:30, 3:30 pm, $13, includes pint glass]. Hit the website to find out what’s on tap. • At Whaler’s Brewing [Thursday and Friday 4-8 pm, Saturday 1-7 pm, Sunday 1-5 pm]: Blueberry Berliner Weisse, an Extra Pale Ale, the Wanderer Double IPA [a special double IPA], Hazelnut Stout, a Saison with Pomegranate, and Chinook IPA. • From Crooked Current’s Facebook page: “The final Thursday in our current location is in the books. Only tomorrow (Friday) from 5-8 & Saturday from 1-5 remain available for those looking to check out the location that started it all for CCB before the doors are locked for good and a new chapter commences.” Click here if you missed the big news about their bigger new space [and check their Facebook for what’s pouring]. • Hit their websites for updates on Grey Sail and Ravenous. 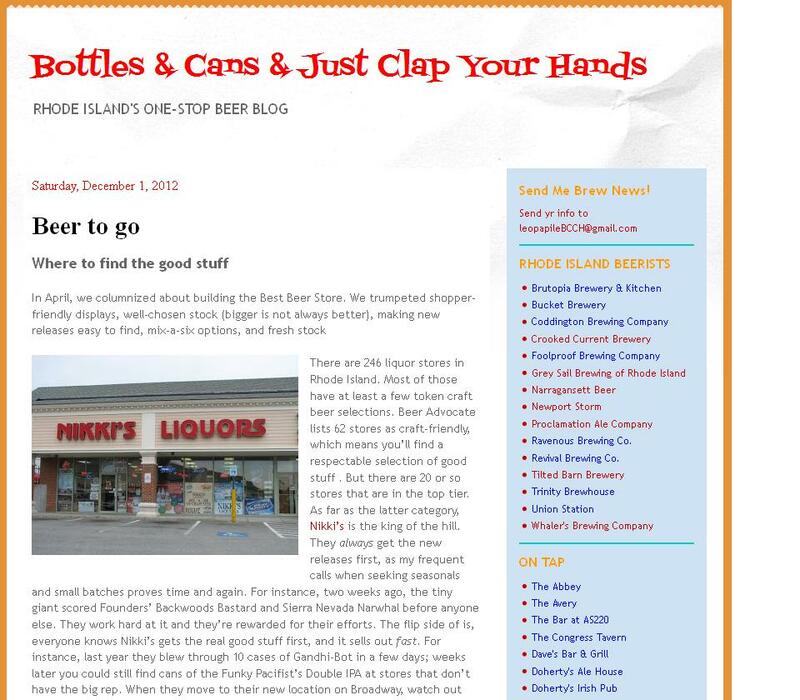 October 29, 2015 November 3, 2015 Lou Papineau Beer News	Brutopia Brewery and Kitchen, Dave Witham, Proclamation Ale Company, Revival Brewing, Rhode Island Brew Fest, Sign the petition!!! 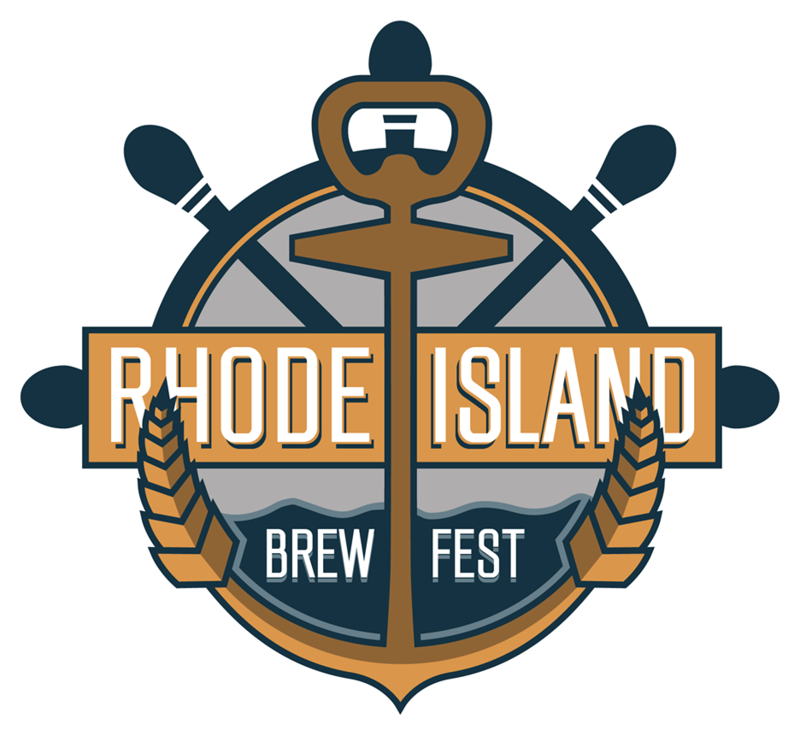 • The first Big Beer Event of 2016 has been announced: The fourth annual Rhode Island Brew Fest will take place on January 30 at the Pawtucket Armory. The fest hosts more than 55 breweries; 13 locals are already proudly represented on the website. Tickets [$50, $15 for designated drivers; sessions from 1-4 and 5:30-8:30 pm] are on sale now — and there’s a $5 early bird discount through November 15 [promo code: EARLYBREW16]. We’ll have a lot more to share about the fest in the New Year — it’s a great beer gathering which chases the winter chill. 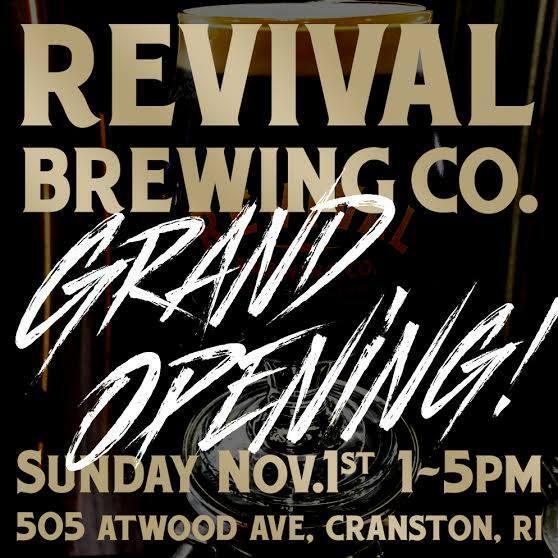 • The Revival Brewing Tour Launch Party — aka the “No Longer Homeless Party” — is on Sunday [11.1] at Brutopia Brewery & Kitchen [505 Atwood Ave, Cranston]. The event is the Official Grand Opening Celebration of the Revival crew “renting and managing the brewery part of [Brutopia] and working with the pub as a business partner,” as stated in a mid-September note from brewmaster Sean Larkin. There are tours and tastings at 1, 2, 3, and 4 pm; the $10 tickets are sold out, but $15 tix, which include an upgrade to a souvenir tulip glass, were still available when we hit “Publish” at 10:36 am. But don’t delay! You snooze, you…well, you know. Gonna go back to our roots the next two weeks. Know what I'm saying? [Update on 11.3 @ 12:50 pm] Well, it turns out that we were right about what the tweet was saying. Proclamation just posted that Tendril will make its triumphant return on Thursday [11.5]. Pro tip: don’t play poker with the brewmaster — Dave didn’t show his hand when we asked about Tendril last week…. Let’s get to 1000 signatures! Thanks to all who have signed the petition! We’d like to reach 1000 signatures before the end of day [10.29]. 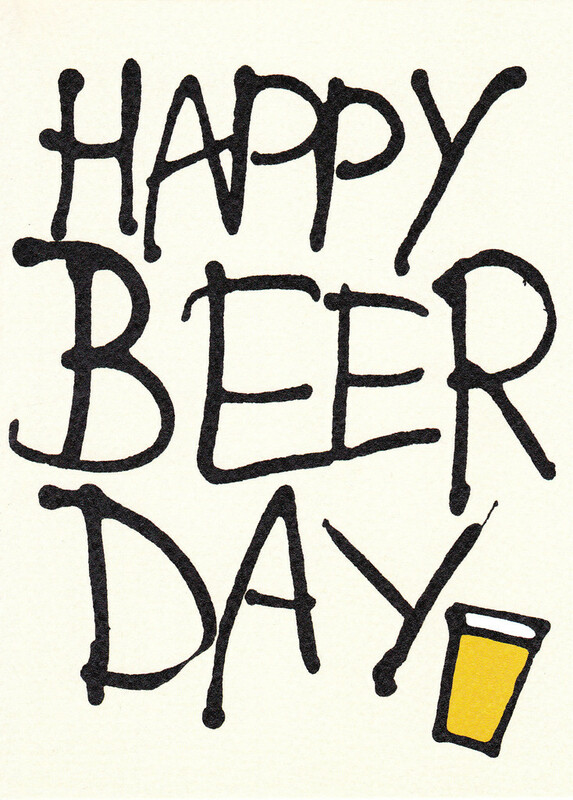 PLEASE share the link and encourage all of your beer-loving contacts to get on board. Next week we will forward the signatures to the governor, senators, and representatives. And when a bill is submitted in January 2016, we’re going to need your help again — this is the only the first step! 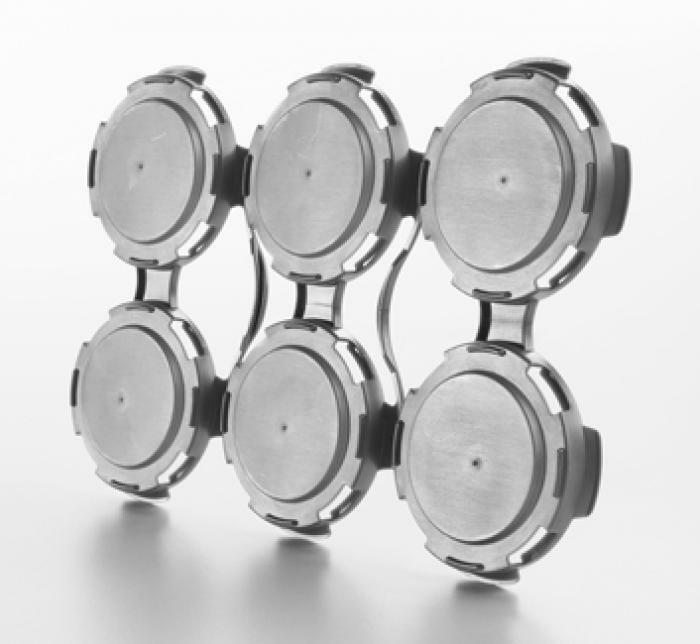 We will keep you posted re: future developments. Cheers! We’ve scanned the list of signees and noted that some of our regular B&C readers still haven’t signed the petition [you know who you are]. So: just do it [please]. And share the doc! One K is in reach! Thank you! • And ICYMI, here’s our latest piece for Motif: “Devilish brews for the scary season,” a compendium of Halloweenish beers. 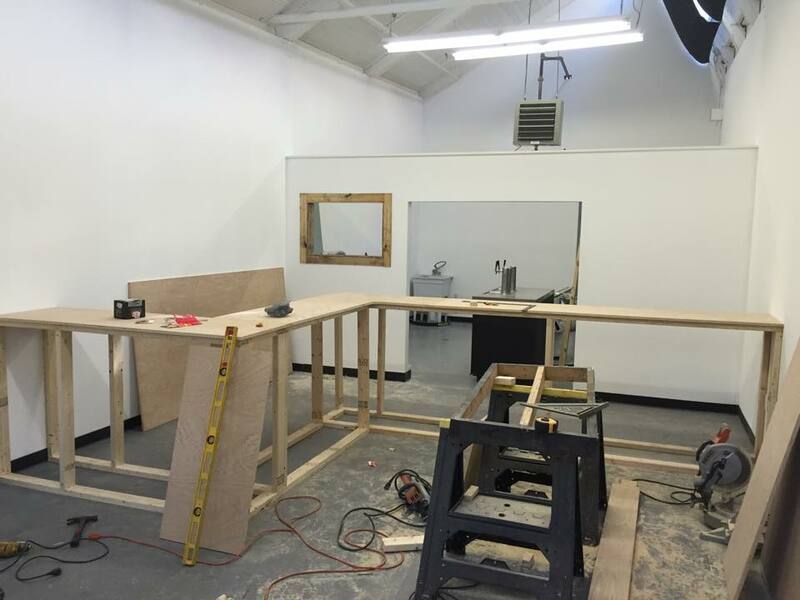 Crooked Current is expanding; Newport Storm’s ’15; spooky brew fun; and it’s B&C’s birthday! • Newport Storm inaugurated its Annual Release series with ’00, the brewery’s second-ever beer [after the flagship Hurricane Amber Ale]. 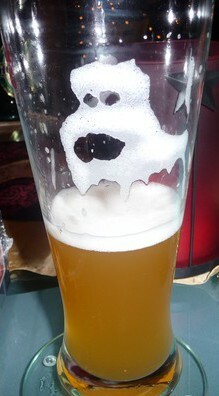 The always-formidable [’04 was 14.1% ABV] and extreme beers have included a wide range of styles [lager, fruit. Belgian] and brewing adventures [the ’11 was a collaboration with RI brewers made with RI-made ingredients; ’14 was a “snow beer” brewed with 1300 gallons of melted winter wonder]. This year’s edition is on the way — ’15 [11% ABV] is a new spin on an old favorite. Here’s the skinny: “The crew here loves bacon. In fact, our 2014 fall office meeting, which was dominated by the smoky meat, is now referred to as ‘Baconfest.’ When we started experimenting two years ago with a hardwood smoked barley, it was only a matter of time before it showed up in our beer. In searching for flavors to pair it with, the brewery reached back a decade to our Annual Release ’05 for inspiration. There, they found exactly what they were looking for. This time, instead of adding cocoa to the beer, they used a brand new barley that was specifically malted to bring out this flavor. Think chocolate. Think bacon. Now stop thinking and start drinking.” The distinctive cobalt blue bottles sealed with wax are hitting stores now. And on Thursday [10.29] from 6 to 8 pm, the Newport Storm crew with host a launch party at their HQ [293 JT Connell Hwy], with tastings of ’15 [plus R.I.P.umpkin and the rest of their lineup], Halloween movie trivia, and other ghoulish fun. Admission is free!…And look for the return of InfRIngement, which was first released in August ’14. The Russian Imperial Stout [10% ABV] was aged in Thomas Tew Rum barrels; the name was inspired by the trademark infringement imbroglios that affected a few of our local breweries. • More spooky stuff: Foolproof will present some macabre fun at its Haunted Brewery Tours on Friday [10.30] and Saturday [10.31]. The party plan: “Come drink beer, be scared, and have fun!” Tix are $20; get ’em here. There are four sessions each night and some are close to selling out, so get ’em fast; the outdoor beer garden will be open for tastings if you don’t get inside for the boo!fest [Updated 10.29 @ 4:14 pm]: “Haunted Tours have officially sold out both nights! We might be able to let in a few walk-ins. Outdoor tastings will still be offered”.…And Bucket Brewery’s monthly Sound Check will be in the seasonal spirit on Friday from 6-9 pm. The bash at 100 Carver St in Pawtucket features music by Sharks Come Cruisin’ [get ready to sing along], a costume contest, and more frightful frivolity. Tix are $15, which includes four beer sample tickets [an extra $5 = a souvenir glass and extra beer per pour; bring a non-perishable food item for the Rhode Island Community Food Bank and you get a bonus beer ticket] and entry for raffle prizes. • Dogfish Head mainman Sam Calagione was a very popular guy at Beervana. Tonight [10.28] at Federal Taphouse & Kitchen [279 Atwells Ave, Providence] at 6:30 pm, you can experience Beer Dinnervana with a delectable four-course meal featuring Dogfish brews. The pairings: General Tso’s Turkey Meatballs with Burton Baton; Roasted Bacon Wrapped Sea Scallops with Sixty-One; Braised Beef Short Ribs with Indian Brown Ale; and Milk & Honey [chocolate mousse-and-more] with Tweason’ale. Tix are $65; call 401.454.8881 for reservations. One year ago today, we launched this modest enterprise; here’s the origin story. We’ve fulfilled our mission statement, delivering “mostly-daily news on Rhode Island breweries, events, and the freshest releases from our own backyahd and beyond.” And we’ve been privileged to break some big news, talk with brewers and other industry folks, and have some beyond-beer fun [see: R.E.M. and the radio]. If you’re new ’round here, we encourage you to dive into the archives. Here’s a helpful shortcut: in June, we shared B&C’s Top 5 Most-Read Posts [which excluded the closing-of-Track 84 entries and various polls]; since then, exclusive stories about the Malted Barley coming to downtown Providence and Narragansett’s Reanimator Helles Lager, the launch of the “Support the passage of better beer laws in Rhode Island” petition, and Q&As with brewmasters Dave Witham [Proclamation Ale Company] and Mike Gerhart [Otter Creek] have joined the top 10 [the Beervana-related posts are also lodged in the most-viewed realm]. And to all of our regular readers, including a few who have been here since the very first entry, sincere and heartfelt thanks for hanging out with us. 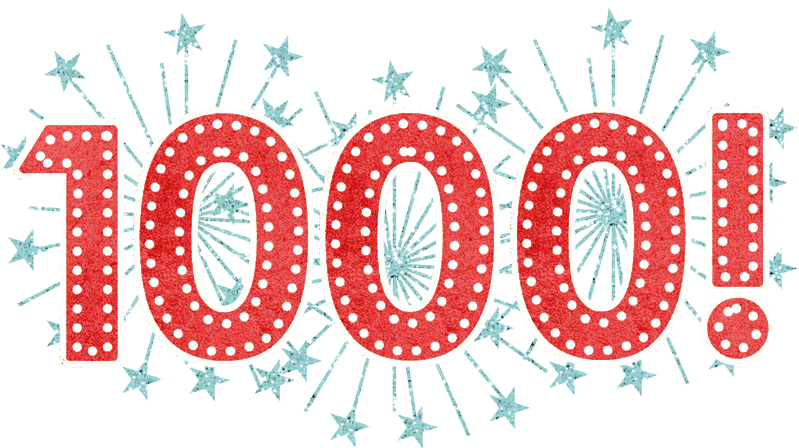 We had Big Giveaways for our 100th and 250th posts [which contain more huzzah-for-B&C! tidbits and stats]. Today we’ll be waiting for the truckfuls of beer and bagfuls of cash to arrive at B&C HQ to fête our Big First Birthday [we’ve backed the Kia out of the driveway]. Bring it on! After a coupla hours, we signed out. And pretty much didn’t sign in again until the third week of October last year, a few days after the last issue of the Phoenix was published. We added and updated links [as seen on the screenshot — click through, the site still “lives”]…and then spent the next coupla days re-building the site-to-be at WordPress [the deciding factor: it looks much better on a phone] and tweaking the content and polishing the design. On 10.28.14 at 2:43 pm, we published “So, where were we?” [with a one-day-only sans-serif font; we weren’t done tweaking]. And here we are on 10.27.15, with our 279th post! We’ll indulge in a little more one-year-old malarkey tomorrow. But in the meantime, there’s this petition to “Support the passage of better beer laws in Rhode Island” that needs your signature. And please share the link; the doc needs 216 more participants to reach 1000. The 19th Annual Great International Beer & Cider Competition was held on Friday, October 23, in Providence, one day before the 22nd Annual Great International Beer Festival. Festivals of America produced both events. New England beer newspaper Yankee Brew News was the media sponsor of the competition. Six hundred eighty (680) beers and ciders from breweries and cideries across the US and from around the world entered the competition. One hundred-twenty (120) professional brewers, beer industry professionals (retail and distribution) and beer journalists acted as judges in a blind tasting format. First, second and third place awards were presented in 59 categories of ales, lagers and ciders. The judges knew only the style and subcategory of each beer and cider. Since the competition began in 1997, over 2000 beers and ciders have been judged. The awards were presented during the afternoon session of the beer festival, announced by Yankee Brew News editor-in-chief Gregg Glaser. On the floor of the festival, held at the Rhode Island Convention Center, over 3500 beer lovers were able to sample over 250 beers and ciders. 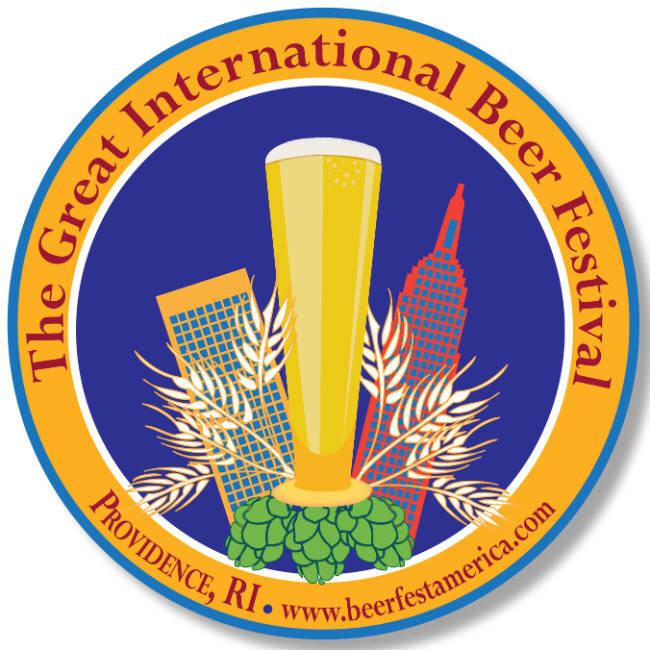 The 20th Annual Great International Beer & Cider Competition and the 23rd Annual Great International Beer Festival will take place in November 2015 in Providence. The Ninth Annual Great International Spring Beer Festival will take place April 9, 2016.